The state of Jammu & Kashmir has seen difficult times in the past and in recent years. The trauma of war and partition was experienced by the people of this state during 1947-48. The dispute over this area has persisted between India and Pakistan for over half a century. 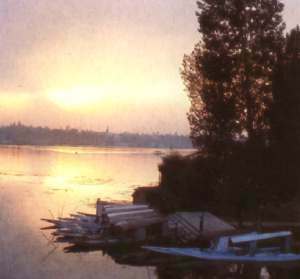 However, as Kashmiri old timers will admit, between 1949 and 1989, the state did experience growth, peace and sunshine. What spoiled everything was the palace politics of the state, New Delhi's paranoia about hostile forces taking control and Pakistan's incessant efforts to spread disenchantment amongst the people. Local Kashmiri leaders unfortunately let the people down for their own gains. With the elections of September-October 2002 promising a new start, the politics of this state will hopefully become more transparent, fair and clean. A brief history of politics of the state starting from the birth of the National Conference.